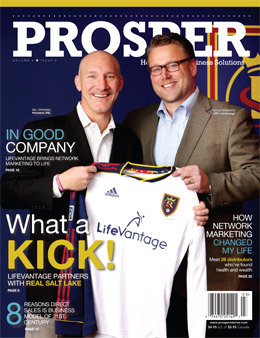 "We were so pleased with the creativity, professionalism and speed of the staff at Prosper Magazine. We've done magazine projects with other companies in the past, and we ended up rewriting articles because the writers didn't catch our vision. With Prosper, the magazine process went smoothly. The editors took the time to get to know us and to understand our company vision. This magazine is an essential part of our marketing efforts as we launch our company."